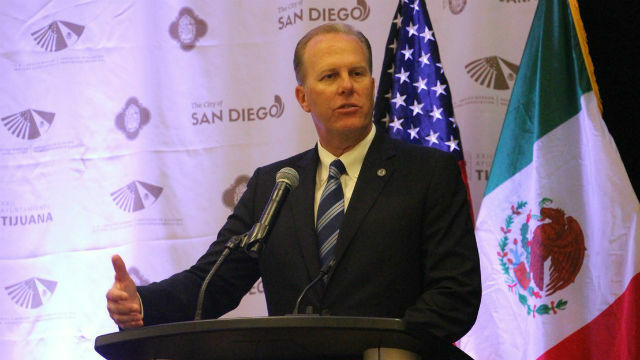 San Diego Mayor Kevin Faulconer will head to the nation’s capital Sunday with a delegation of San Diego and Baja business leaders to lobby for NAFTA and critical border projects. Faulconer’s office said the delegation would seek approval of a revised North American Free Trade Agreement that includes Canada and increased staffing for U.S. Customs and Border Protection to protect the bi-national economy. The mayor and his counterpart from Tijuana, Mayor Juan Manuel Gastelum, are joining 140 business and community leaders on the San Diego Regional Chamber of Commerce’s 12th annual Washington delegation.